Enlarging a family through adoption is exciting for any parent but the process can prove entirely nerve wracking and it helps to have a knowledgeable attorney to guide you through the process. The truth is that many things can go wrong causing delays in the process. Furthermore it is possible to break your state’s laws regarding adoption and that is why you need an experienced attorney to ensure that the whole process proceeds smoothly. What then do you need to do to find a truly competent and reliable adoption attorney? The adoption process can prove expensive and while you want to pay for great services you should also be wary of attorneys who might be asking for unreasonable upfront payments. To make sure that you are not fleeced you should therefore obtain quotes from several attorneys to compare prices. While attorney costs are important, you should remember that adoption law is a specialist field and for this reason you’ll find that there are many attorneys trained in family law but who might not know the exact intricacies involved in adoption. You should therefore only work with a specialist. As for attorney fees, your attorney should be very clear as to how they are calculated. Does the attorney, for instance charge consultation fees and will you pay a pre-set rate or be billed per hour? Finding out such details at the outset will help you find out if you’ll meet the costs of adoption. 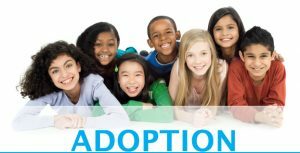 The adoption process might require that you deal with several professionals including adoption agencies, consultants and facilitators and your adoption attorney is an important expert who will play the critical role of handling crucial paperwork and will work with you until the process is completed. This means that your attorney not only needs to be fully conversant with adoption law but that he or she is also licensed otherwise you are likely to encounter hurdles down the road. Attorney reputation is of utmost importance and you need to confirm that you are dealing with a pro who has given exemplary service to past customers. If you are dealing with an attorney in your locality, it is possible to find people who have been served by the attorney and it helps to get in touch with them to find out how such people rate the attorney’s services. By visiting the firm’s website you are also likely to find testimonials left by past clients. While these might not be too reliable you can’t go wrong when you search for comments on an attorney on social media sites. If an attorney has had an adverse mention, such details are likely to be found on such sites. An attorney who has had an outstanding service will most probably have received rave reviews on attorney rating sites and you should find out the kind of professional affiliations the attorney you wish to contract has. Can you find anything about your attorney on sites such as Lawyers.com? The American Academy of Adoption also vets adoption attorneys and you should consider visiting their site www.adoptionattorneys.org to find out if your attorney has gone through the necessary vetting. Even before you contract an attorney there are signs which can tell you about the level of customer service to expect from the company. Find out from the outset the kind of attention the attorney is going to give you. Is he or she willing to listen attentively to your case? Can you find out who in the firm will guide you through the process? In many cases you’ll find out that your case will be handled by somebody other than the main partner and you need to know from the beginning who your contact person in the firm will be. Find out also how you’ll be communicating with the contact person and how available that person will be. Finally, it is important to contract an attorney you are comfortable working with. Regardless of the qualifications that an attorney has, the adoption process is bound to be stressful if the two of you do not enjoy working together.